Course Website: Official Website - Visit Highlander Golf Club's official website by clicking on the link provided. 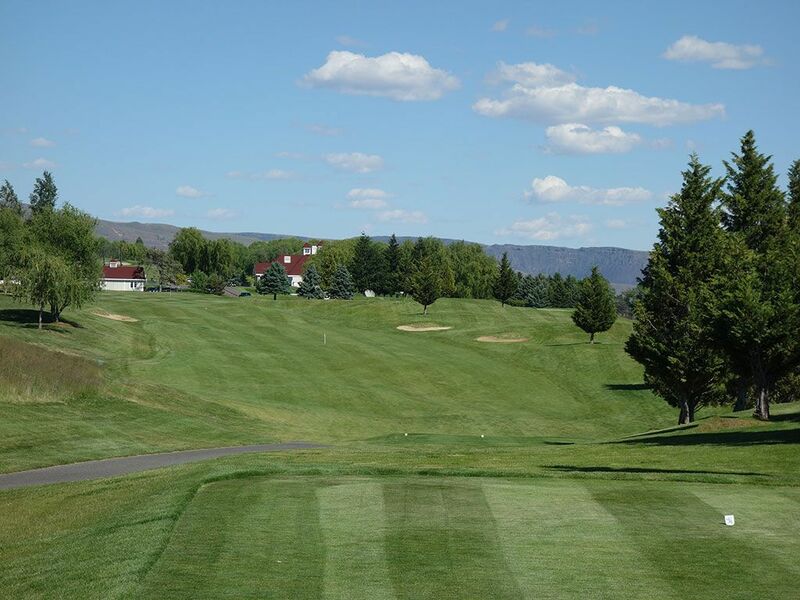 Accolades: Ranked 38th in Washington on Golf Course Gurus' Best in State rankings. What to Expect: Highlander began as a links course but after doing some tinkering and installing 500 trees, the course has developed into a parkland offering. 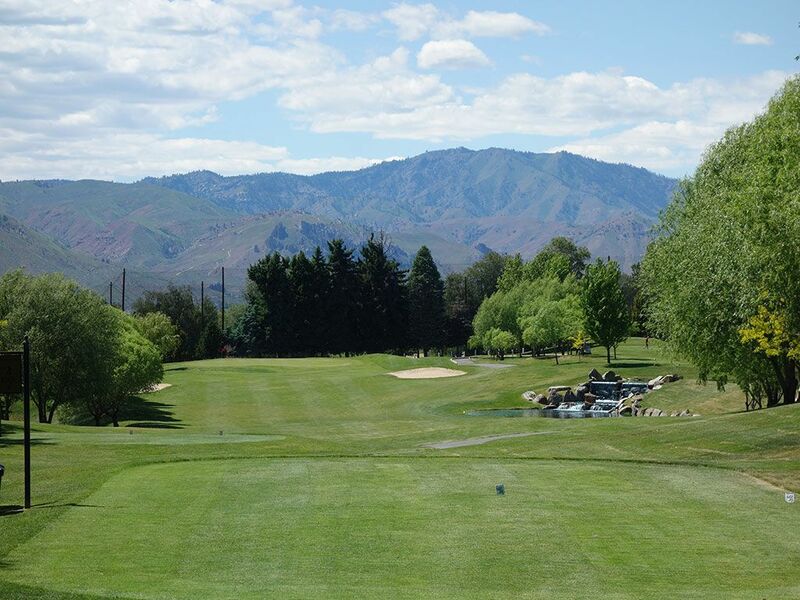 Less than 6,000 yards from the tips, the course is not trying to be a championship caliber offering but instead is a place to feel better about your golf game. The fairways are average width while the rough is a bit more penal than I would expect from a course of this caliber. There are 30+ bunkers and four water hazards to contend with throughout the round and one substantial forced carry. 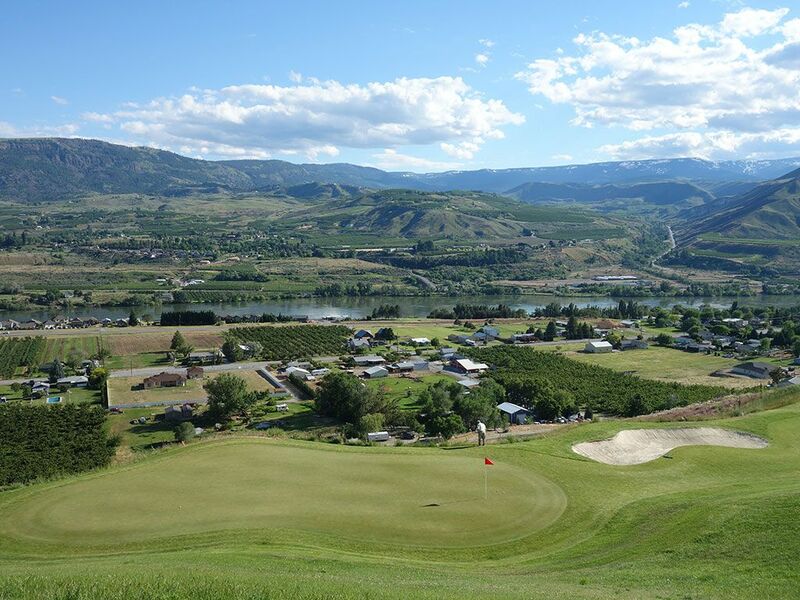 The highlight of the course is two-fold, the plentiful views of the Columbia River and the impressive par 3s. The Columbia is far enough away that it nevers comes into play but close enough to have it feel like it is part of the experience. The closing holes on each nine are the best one-shotters on the course and provide dramatic shots coupled with pleasing views. The lowlight of the round is the odd finish that features three straight driveable par fours followed by a par three; I can only imagine how backed up that stretch gets on a Saturday morning or during a tournament. Conditioning isn't Highlander's strong suit but is good enough to fall in line with what you'd find at most municipal courses. 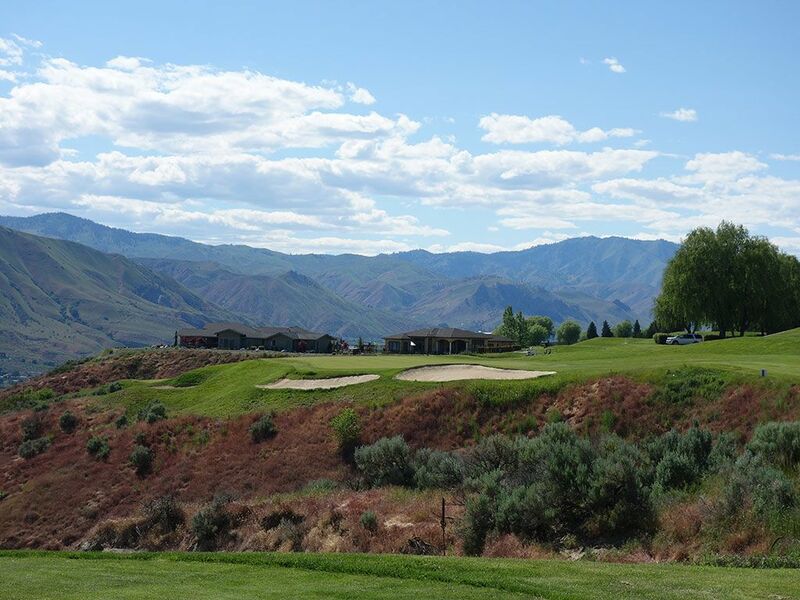 For a casual round of golf with family of friends Highlander is a sufficient venue, but it doesn't have the chops to be a course you plan a golf trip around. 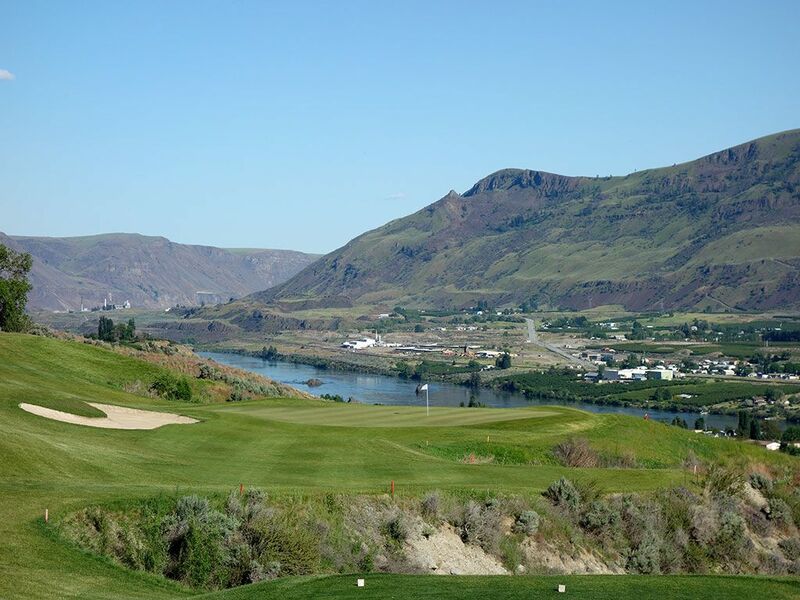 Signature Hole: 9th Hole – 163 Yard Par 3 – The hole that is featured on every marketing material published on the course, this attractive one-shotter plays over a chasm and boasts impressive views of the Columbia River off to the left. Favoring the right side offers safety and a chance to use the terrain to work the ball closer to the hole while misses to the left or short will result in a lost ball. 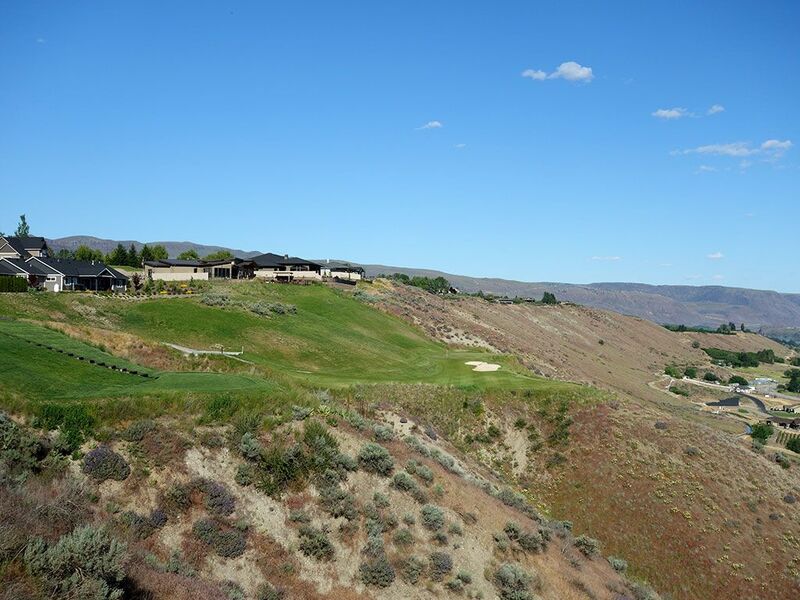 It's a dramatic hole and certainly one of the more memorable offerings in Central Washington. Best Par 3: 18th Hole – 165 Yards – One of the new holes at the course, Highlander is the only 18 hole course I've played that finishes with a par three on the front and back nines. 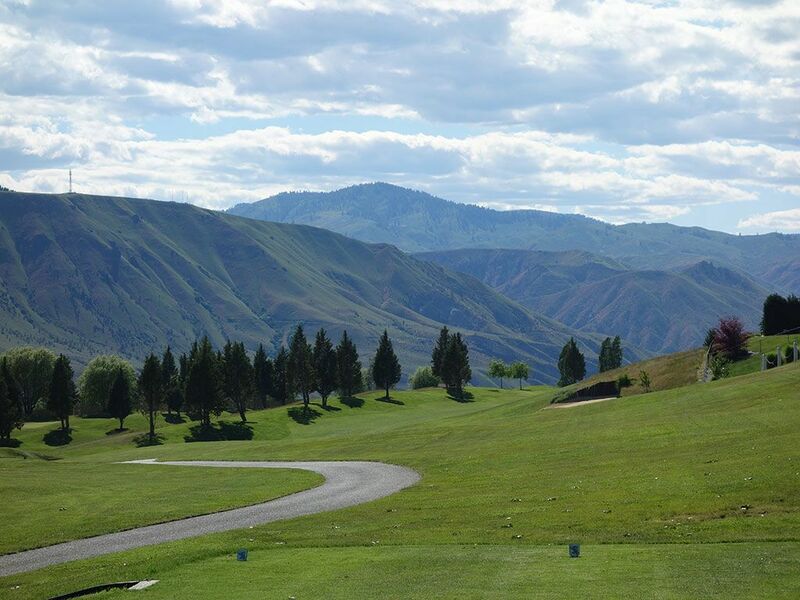 This short closing hole places straight towards the Columbia River and delivers the best view of the day, a welcome offering for a finishing hole. 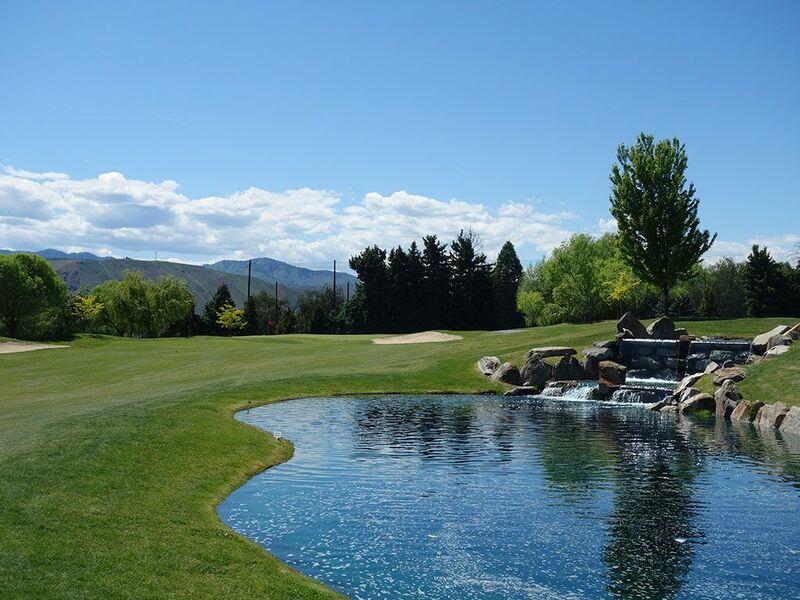 Best Par 4: 2nd Hole – 352 Yards – A modest length par four greets you at the 2nd hole and hosts one of the water features on the course; a pond with a small waterfall. A 225 yard drive that squirts to the right will get wet but a ball that carries 270 yards will clear the hazard; of course you can just hit it straight or left and miss the water altogether. Clearing the water sets up a short approach shot to a green you'll want to attack unless the pin is in the back left then you'll need to use caution as the surface slopes away at that point. Best Par 5: 13th Hole – 522 Yards – The ideal tee shot on the 13th challenges the fairway bunker on the right before drawing back towards the fairway and utilizing the slope to gain some extra yards. The approach shot plays 15 feet uphill to a green protected by a bunker at the front right. The hidden sweet spot in the fairway coupled with the uphill approach shot make the 13th the most interesting three-shotter on the course. Birdie Time: 17th Hole – 247 Yard Par 4 – What looks and plays like an intimidating par three is actually a risk/reward par four. This hole was not in the original design but was incorporated into the course as part of a 2013 renovation that was implemented by the developer in order to open up ground for residential housing. This cliff side hole requires a 150 yard carry over a chasm to reach the fairway which is 40 yards wide just beyond the edge but quickly narrows to less than 20 yards the rest of the way to the green. A huge hillside frames the left side of the green and seems like a logical place to bail out to, but the super long shag eats up balls quick. In fact, my tee shot drew into the the hillside and I found five balls that weren't my own but never found my Pro V1. This is a love it or hate it type of hole that is a lot of fun in match play but would be awful in a stroke play tournament. Bogey Beware: 11th Hole – 429 Yard Par 4 – At 429 yards the 11th hole is the longest par four on the course and favors a draw; the shot that everyone wants but few people can master. After playing downhill off the tee, the approach shot plays uphill to perhaps the most challenging green on the course. With three bunkers to navigate and a green claims its fair share of victims, par is a score to be proud of here.